Yesterday VCE and their proud parents announced revenues had reached an annual run rate of a billion dollars. Today VCE announced some new products along with enhancements to others. Before going forward though, lets take go back for a moment to help set the stage to see where things might be going in the future. A little over a three years ago, back in November 2009 VCE was born and initially named ACADIA by its proud parents (Cisco, EMC, Intel and VMware). Here is a post that I did back then. Btw the reference to Zen might cause some to think that I don’t how to properly refer to the Xen hypervisor. 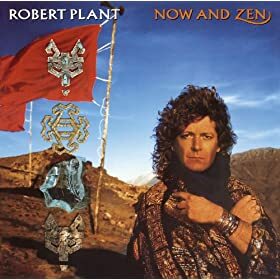 It is really a play from Robert Plants album Now & Zen and its song Tall Cool One. For those not familiar, click on the link and listen (some will have DejaVu, others might think its new and cool) as it takes a look back as well as present, similar to VCE. On the other hand, this might prompt the question of when will Xen be available on a Vblock? For that I defer you to VCE CTO Trey Layton (@treylayton). VCE stands for Virtual Computing Environment and was launched as a joint initiative including products and a company (since renamed from Acadia to VCE) to bring all the pieces together. As a company, VCE is based in Plano (Richardson) Texas just north of downtown Dallas and down the road from EDS or what is now left of it after the HP acquisition The primary product of VCE has been the Vblock. The Vblock is a converged solution comprising components from their parents such as VMware virtualization and management software tools, Cisco servers, EMC storage and software tools and Intel processors. Not surprisingly there are many ex-EDS personal at VCE along with some Cisco, EMC, VMware and many other people from other organizations in Plano as well as other cites. Also interesting to note that unlike other youngsters that grow up and stay in touch with their parents via technology or social media tools, VCE is also more than a few miles (try hundreds to thousands) from the proud parent headquarters on the San Jose California and Boston areas. As part of a momentum update, VCE and their parents (Cisco, EMC, VMware and Intel) announced annual revenue run rate of a billion dollars in just three years. In addition the proud parents and VCE announced that they have over 1,000 revenue shipped and installed Vblock systems (also here) based on Cisco compute servers, and EMC storage solutions. While VCE is known for their Vblock converged, stack, integrated, data center in a box, private cloud or among other descriptors, there is more to the story. VCE is addressing convergence of common IT building blocks for cloud, virtual, and traditional physical environments. Common core building blocks include servers (compute or processors), networking (IO and connectivity), storage, hardware, software, management tools along with people, processes, metrics, policies and protocols. I like the visual image that VCE is using (see below) as it aligns with and has themes common to what I have discussing in the past. VCE Vision is software with APIs that collects information about Vblock hardware and software components to give insight to other tools and management frameworks. For example VMware vCenter plug-in and vCenter Operations Manager Adapter which should not be a surprise. Customers will also be able to write to the Vision API to meet their custom needs. Let us watch and see what VCE does to add support for other software and management tools, along with gain support from others. Vision is more than just an information source feed for VMware vCenter or VASA or tools and frameworks from others. Vision is software developed by VCE that will enable insight and awareness into the Vblock and applications, however also confirm and give status of physical and logical component configuration. This means the basis for setting up automated or programmatic remediation such as determining what software or firmware to update based on different guidelines. Initially VCE Vision provides (information) inventory and perspective of how those components are in compliance with firmware or software releases, so stay tuned. VCE is indicating that Vision will continue to evolve after all this is the V1.0 release with future enhancements targeted towards taking action, controlling or active management. The industry adoption buzz is around software defined X where X can be data center (SDDC), or storage (SDS) or networking (SDN), or marketing (SDM) or other things. The hype and noise around software defined which in the case of some technologies is good. On the marketing hype side, this has led to some Software Defined BS (SDBS). Thus, it was refreshing at least in the briefing session I was involved in to hear a minimum focus around software defined and more around customer and IT business enablement with technology that is shipping today. VCE Vision is a good example of adding value hence what I refer to as Valueware around converged components. For those vendors who have similar solutions, I urge them to streamline, simplify and more clearly articulate their value proposition if they have valueware. Vendors including VCE continue to evolve their platform based converged solutions by adding more valueware, management tools, interfaces, APIs, interoperability and support for more applications. The support for applications is also moving beyond simple line item ordering or part number skews to ease acquisition and purchasing. Some solutions include VCE Vblock, NetApp FlexPod that also uses Cisco compute servers, IBM PureSystems (PureFlex etc) and Dell vStart among others are extending their support and optimization for various software solutions. These software solutions range from SAP (including HANA), Microsoft (Exchange, SQLserver, Sharepoint), Citrix desktop (VDI), Oracle, OpenStack, Hadoop map reduce along with other little-data, big-data and big-bandwidth applications to name a few. Hardware, Software, what about Valueware? Congratulations to VCE, along with their proud parents, family, friends and partners, now how long will it take to reach your next billion dollars in annual run rate revenue. Hopefully it wont be three years until the next VCE revisited now and Zen ;). Disclosure: EMC and Cisco have been StorageIO clients, I am a VMware vExpert that gets me a free beer after I pay for VMworld and Intel has named two of my books listed on their Recommended Reading List for Developers. Ok, nuff said, time to head off to vBeers over in Minneapolis.